Some changes have been made to the settings within Vision Data to better report linage in reports. For this to work, all rates - current and future - must be set up a certain way. In the Pub/Zone Detail of each rate, the Lines Per Unit setting must be set to 14. The good news is, all current rates have been updated for you. 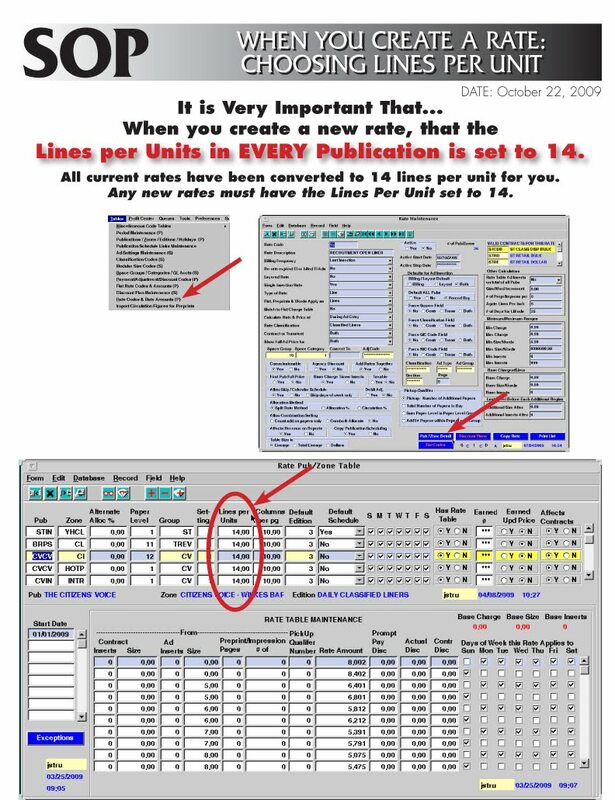 All future rates, however, must have 14 under Lines Per Units for the reporting to work correctly. Please see the attached SOP.